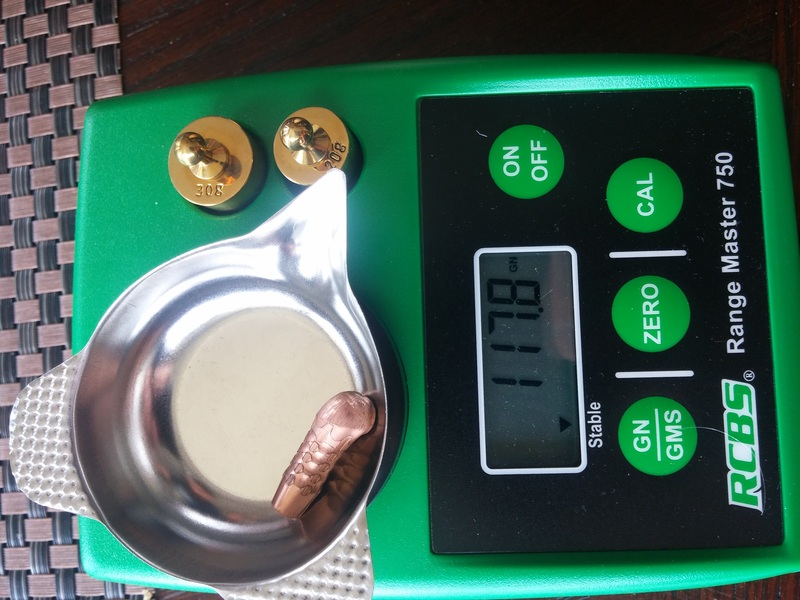 Today I will go over my findings when testing the 125gr Hammer Bullets. One thing on the bearing surface, it’s not 0.590’’ because of the grooves or PDR Parabolic Drag Reduction are round. The actual measurement would have to be measured by someone with a fancy degree and for our purpose all we need to know is it reduces friction. Here is a quote from their website explaining the PDR. I will first go through Load development, the website basically says to load to desired velocity, zero and go hunt. I was more than skeptical at such claim but was pleasantly surprised. 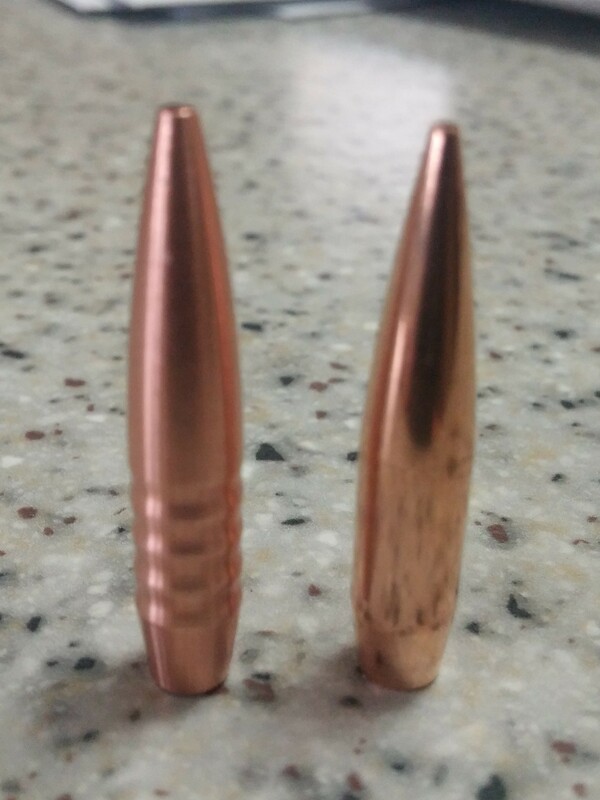 I decided to follow the instructions and loaded 9 rounds from 48gr to 52gr in half grain increments as shown below. Those were decent enough but I know I could get better. I had a pet load for another 125gr bullet and decided to try it. It worked out in my favor. 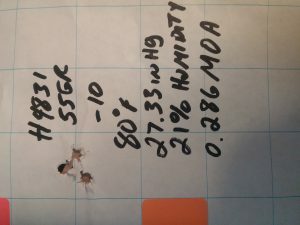 I went with 55gr of H4831SC and it gave me 3090fps and just under 0.3MOA group at 109yds. Some will ask why only 872 yards? I decided to take them on a bear hunt and my personal rule of thumb is 1000ft lbs of energy min for game. At 3000ft elevation I get 1013ft lbs at 600 yards, so practicing to 872 is more than sufficient. I shot them from 327yds to 872yds. At 545yds they seem a little low but by the time I got to 872yds it was obvious it was way low by close to 3MOA. The chart called for 17.8moa and it took 20.5MOA to have consistent hits at 872yds. I felt confident my velocity was right but I put the Magneto on in order to confirm. Velocity averaged 3088fps with an ES of 12fps. I double checked all my entries into the AB app and everything was right. I then started to change the BC until it matched the drops I had just shot. When I hit 0.200 for a BC everything lined up perfectly. It was a painful year to hunt it the foothills of the Rockies. Usually the area always produced a large amount of bears. 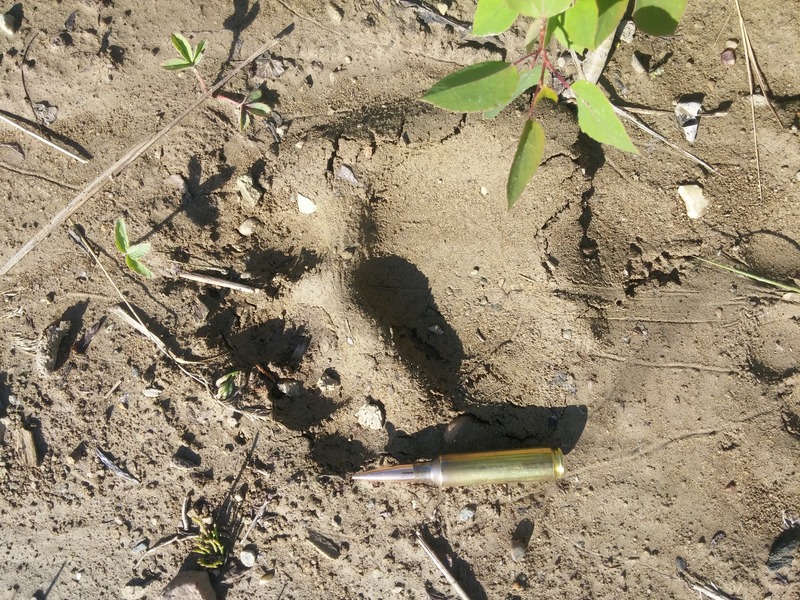 I spent over a week hunting and put on a lot of miles with only one sighting and no shot opportunity. 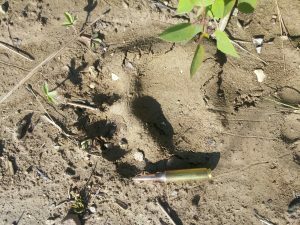 This is the closest I came to a bear after a 4hr hike, found this fresh track 200yds from my truck. I came across a coyote (coyotes can be hunted year around here on private land) He was only about 100yds away on a down angle of about 30 degrees. 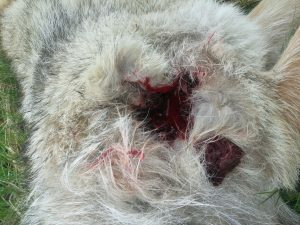 Hit him just front of the left shoulder as he was quartering to me slightly, left a golf ball size exit hole. 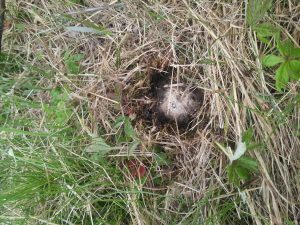 Because of the down angle I was hopeful for a bullet recovery, but the bullet hit a rock just below the surface of the grass. I did a destruction test and shot and old steel propane tank full of water at 654yds. I also shot a different brand hollow point bullet. The Hammer retained most of it’s weight while the other completely exploded into small fragments. I realise this is in no way indicative of performance on game. The bullet went through the front of the tank, through the water and made a significant dent on the back side. In all Hammer Bullets has a great selection for different calibers. 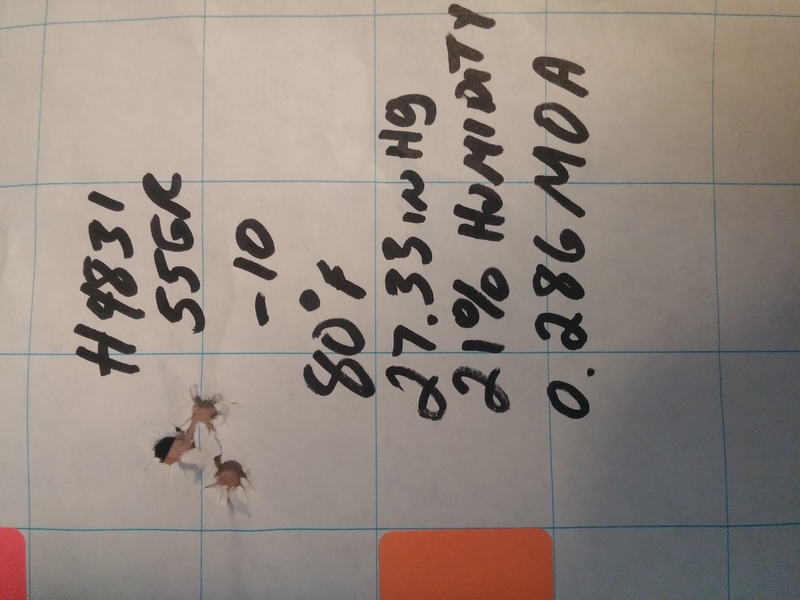 The 6.5 bullets I Used were very easy to tune for accuracy at a wide range of velocities. The quality control is very consistent. I’ve used two other brands of Monolithic bullets and these were by far the easiest to work with when it came to load development. 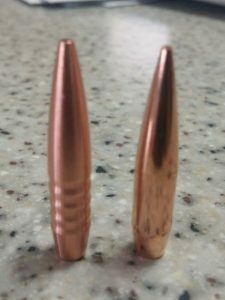 Go to Hammerbullets.com and have a look. 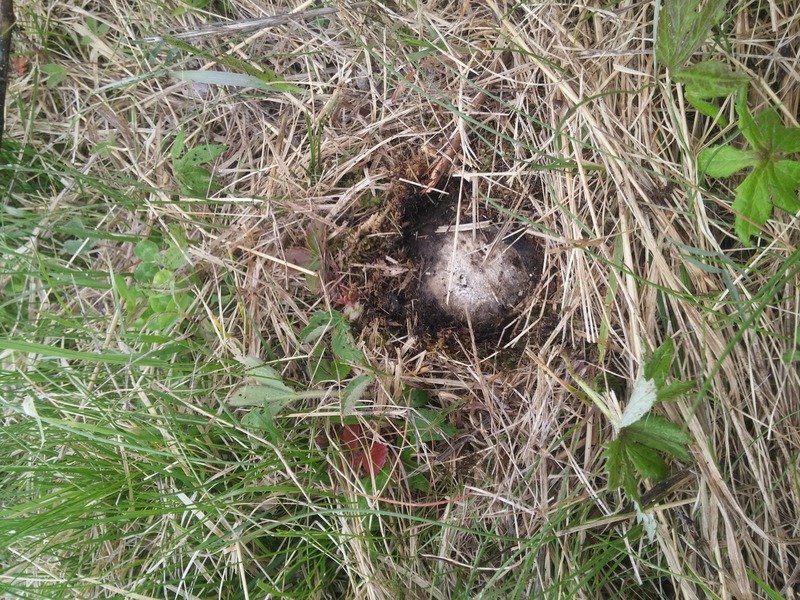 As far as terminal performance on big game I am off Sheep hunting August 25th and will also use them for deer this fall. Stay tuned for an update on terminal performance.